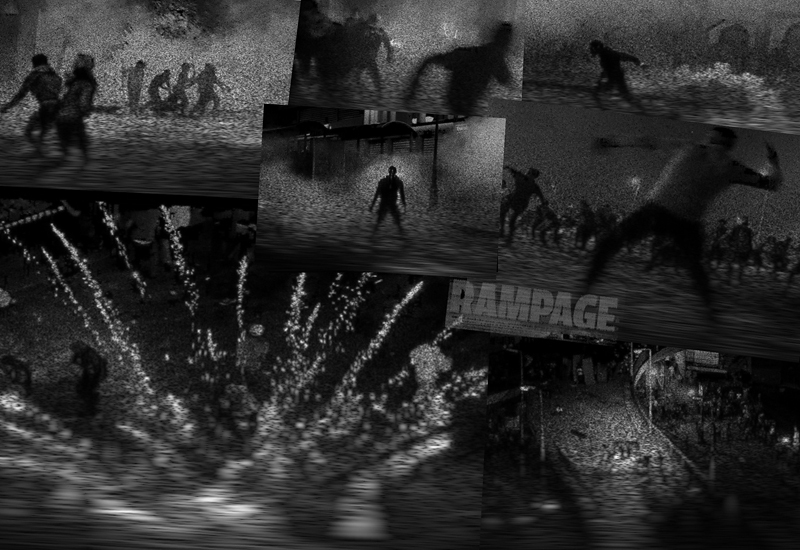 My lastest project, Rampage, is an experimental exploration of dance and news photography with sound to create a conceptual art installation (a series of projected images and slideshow). Inspired by William Marotti’s text Japan 1968: The Performance of Violence and the Theatre of Protest (about the student riots in Japan during this year) I focus on the present day social landscape, particularly the riots in the UK last year. Influenced by Japanese avant-garde culture of the late 1960s and early 1970s – in particular, the Provoke group of photographers working in Japan at that time. Published in 1968, Provoke magazine is most often associated with a generation of photographers searching for a radical visual language to abolish the perception of photography as document; their images were often grainy and blurred (are-buke-buke), exemplifying their willingness to discard information.